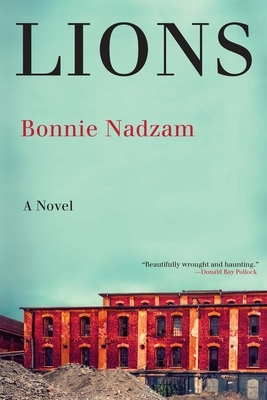 Bonnie Nadzam--author of the critically acclaimed, award-winning debut, Lamb--returns with this scorching, haunting portrait of a rural community in a "living ghost town" on the brink of collapse, and the individuals who are confronted with either chasing their dreams or--against all reason--staying where they are. Lions is set on the high plains of Colorado, a nearly deserted place, steeped in local legends and sparse in population. Built to be a glorious western city upon a hill, it was never fit for farming, mining, trading, or any of the illusory sources of wealth its pioneers imagined. The Walkers have been settled on its barren terrain for generations--a simple family in a town otherwise still taken in by stories of bigger, better, brighter. Bonnie Nadzam has published fiction and essays in many journals and magazines, including Granta, Harper's Magazine, Orion Magazine, The Iowa Review, Epoch, The Kenyon Review, and many others. Her first novel, Lamb, was recipient of the Center for Fiction's first novel award in 2011, and was longlisted for the Baileys Women's Prize for Fiction. It has been translated into several languages and made into a film that will be released in 2016. She is also co-author with Dale Jamieson of Love in the Anthropocene (OR Books, 2015).